Mr. Zelner's area of specialization is in estate planning and the administration of trusts and estates. For over thirty-five years he has advised clients on the dispositions of their estates, formulated estate plans and drafted the documents to implement those plans. Mr. Zelner has substantial experience in the use of techniques to transfer wealth at minimum estate and gift tax cost. He also spends a good deal of his time on matters which are not solely tax-related, such as business succession planning and asset protection strategies. Mr. Zelner is also experienced in the formation and operation of private foundations and in the negotiation and drafting of pre-nuptial agreements. As in the area of estate planning, Mr. Zelner has substantial expertise in the administration of trusts and estates. He has represented the estates of executives, entertainment figures and owners of closely held businesses. In that connection, he has been confronted with issues of valuation of difficult-to-value assets, such as works of art, copyrights and closely held businesses. Mr. Zelner has advised trustees in the administration of trusts and presently acts as a trustee of lifetime and testamentary trusts. Mr. Zelner graduated from The Harvard Law School. Subsequently, he was associated with and became a partner in the firm of Parker Chapin Flattau & Klimpl LLP (now known as Troutman Sanders LLP), where he was the administrative partner of the Trusts and Estates Department. 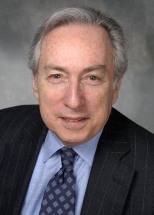 An active member of The Tax Section of The American Bar Association, Mr Zelner has for many years been a member of its Estate and Gift Tax Committee and was chairman of its Subcommittee on Estate and Gift Tax Reform. He drafted the testimony given by The American Bar Association to Congress on the Economic Recovery Tax Act of 1981, which at the time was the most far-reaching legislation affecting Estate and Gift taxes in twenty years. He was also the Chairman of the ABA Task Force on the Generation-Skipping Transfer Tax. Mr. Zelner is a member of the New York Bar Association and its Tax, Trust and Estates and Elder Law Sections. He is also a member of the Association of the Bar of the City of New York, Estate Planning Council of New York City and the Harvard Club of New York City. Mr. Zelner has achieved the highest rating for professional skill and legal ethics in Martindale-Hubbell. Mr. Zelner has lectured extensively on estate planning. He has addressed professional groups such as Practising Law Institute, New York University Tax Institute; New York University Estate Planning conference; New York Law Journal Seminar - Press; and the New York State Society of Certified Public Accountants. He has also addressed lay groups such as the Metropolitan President's Organization, The Young President's Organization and B'nai B'rth. He is admitted to practice in New York and before the United States District Courts for the Eastern and Southern Districts of New York and the United States Tax Court.